Years ago when I was a graduate computer science student, the first book I borrowed from the library (before I even knew the names of my textbooks) was a book on the computer industry in Silicon Valley. I learned about everything from Fairchild Semiconductor to Intel and became familiar, for the first time, with Moor’s law. I read stories about two college dropouts who started a home-based (actually garage) computer manufacturing business. One of them was successful and would remain so for years. The other one failed, only to emerge stronger later in his life. My first impression of the failed entrepreneur was sympathy. He had passion, confidence, and a will to execute, which are qualities I always wanted to have. But being from a middle class family and seeing 2 million highly qualified graduates competing for just 100 open positions (in my home country), I couldn’t garner enough courage to drop out of college. Getting a job was on my mind, first and foremost. How many of us could leave college or our job to start something new? You’ll say, “Some bloggers quit their jobs.” Really? Reality is, a blogger will quit his/her job only when he/she has already achieved decent success with blogging. Can you quit tomorrow after publishing your first post today? No, I bet you can’t! There lies the greatness of those two dropouts, Bill Gates and Steve Jobs. They took risks early in life, they failed, they succeeded, and ultimately they conquered a situation where an ordinary man would have given up. Every one of us has something to learn from Steve. This includes bloggers. Year after year, product after product, Apple keeps bringing brilliant innovations to the market. When I thought the white iPod was a beautiful work of art, soon came the vibrant colors of the second generation iPod. Each Apple product improves on previous products in terms of quality and looks. When is the last time you talked about a failed Apple product? Write each article better than the previous one. Hook your readers with good words from the first paragraph, and keep them engaged til the last line. Make them want to go to your archives to find some more of your writing. The next day, give them something even better. If you cannot give them better the next day, don’t give anything. Create a market to sell your product if it’s not selling. Honestly, did you ever think about portable music players as a gadget you needed before iPod was launched? Steve Jobs created a market for music players, then he created a market for multi-utility cell phones, also known as smart phones. Do you have readers visiting your blog? Create a niche you know quite well, brush up on your skills, master the niche, and acquire readers. 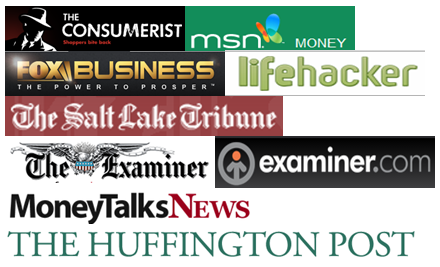 Create a market for new blog readers. People are suckers for knowledge; give them plenty of that and they will keep on coming in bunches. Create a brand of luxury. Microsoft, HP, Dell, et al. are the common man’s computers – you can’t show off a Dell computer or an HP. On the other hand, you can show off a MacBook or brag about buying an iPad. That’s the difference. If AMEX is for credit cards, Bose is for speakers, Apple is for computers. Apple is a luxury brand to own and be proud of. Create your blog like a luxury brand. Close your eyes and think of one blog that can be considered a luxury blog. Didn’t find any, right? Make your blog the first luxury blog that your readers will brag about. Make your blog look like a shining gem, make your content a fine-cut diamond. Can you do that? To be successful, one tried and tested way is to follow a successful man’s footsteps. Let some of us follow Steve’s. Great advice, especially for someone relatively new to blogging. I will take this to heart as I continue to forge ahead. Glad you liked it! How long you are blogging? I am a newbie as well. Looking forward to learn from each other. Inspiring post! Brilliant products, creating a market, and making a luxury brand. I read somewhere that Steve made things that people didn’t even know they needed. That’s visonary stuff. Hopefully we can do the same! Yeah in other words he created demands to sell his products. Unfortunately we operate with none to less marketing budget, And we are all in one from marketer to writer to site designer! From this post, the take away for me is: “Create your blog like a luxury brand.” Good advise. Knowing is just the start, challenging part is implementing what you know. I will also try to implemented, but sadly blogging is only our part time activity. If you can create a luxury brand out of a part time hobby, you can do wonders. 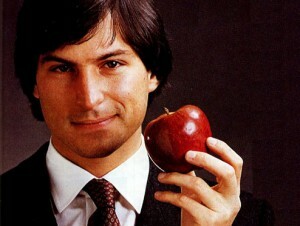 Steve Jobs was very creative and a great marketer. In some ways, he is little like Steven Spielberg, he knows what people want. Sometimes we just have to listen to ourselves. Do you know what people want from your blog? Unless readers comment, we will never know, we can only guess. I think Steve and Steven are good guessers. I love my iphone so I was interested in your post. You make a good case for constantly looking at my blog and determining if my product needs revision. I too love my iPhone, all my twitter and Gmail stuff at work is done via iPhone…both are blocked in the network. That used to be the case with me, but then I quit! Not for that reason (to be with my fiance across the country), but it was one of the biggest annoyances! now that you got the job, what’s the policy there?